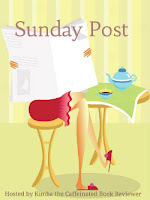 Sunday Post, hosted by Kimba the Caffeinated Book Reviewer, where bloggers share weekly book recaps and other news. Stacking the Shelves, hosted by the team at Tynga's Reviews, where bloggers share the books they are adding to their shelves. Showcase Sunday, hosted by Vicky at Books, Biscuits, and Tea, where bloggers show off their most recently acquired books. 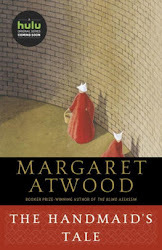 Sunday's Weekly Book Recap #11 was originally published by Catherine for bookclublibrarian.com. This post cannot be republished without express written consent. I liked Yonahlossee (good to see others getting it as I've been sat on my review forever and trying to work out how soon is too soon). I have got The Movement of Stars to read, love the sound of it. Nice haul! I've heard a lot about Beautiful Ruins. I have to admit, I tried to read Stuck in the Middle a year or so ago, and got stuck in the middle. It wasn't bad, but it just didn't grab me. But you may like it better!